Strawberry Road: Flamingos Greet Bathing Beauty! I had a shower.....that was my water for the day! :-) Wonderful card. 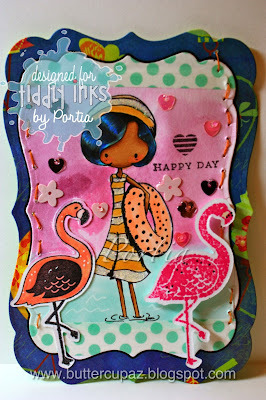 I adore those flamingos. I love your posts too!